As this is my last write up for this year’s reading project, I am going to do two (very short but powerful and beautifully illustrated) children’s books. 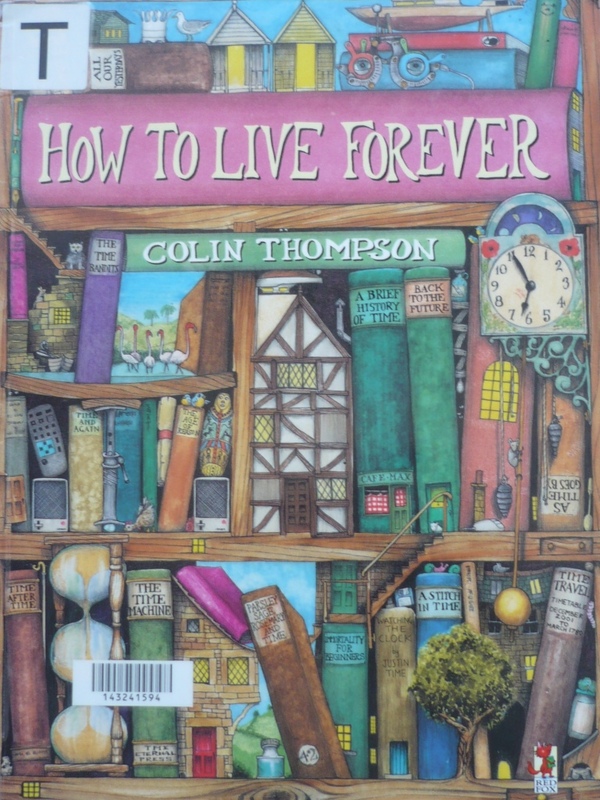 I was surprised (and glad) to see The Treasure Box by Margaret Wild & Freya Blackwood and How To Live Forever by Colin Thompson sitting side by side on a table at my local library (again!). I was in fact looking for a novel but with Christmas and the end of year upon us, I thought the busyness of it all will make me finish a novel in two months time. So I opted for these two wonderful works. And I am still reading, which of course meets the criteria for this project. So no guilt! I read the Treasure Box first. It has a powerful message about tragedy, hope and resilience, which are all good I suppose but I think the topic and images are leaning more towards the adults (parents). So if you’re reading this to your little ones, you might have to explain what it’s all about. Questions I would envision my six-year old to ask me would be: What’s war? Where was this? Why did they leave their home? Of course, your answers would be biased depending on your own set of opinions and beliefs. And for that reason, I have not read it to my son yet. The illustrations are cool – watercolours of beige and grey to convey bleakness, tragedy and loss in the first few pages of the book when Peter was escaping his homeland. Then it got brighter towards the last few pages when Peter became an adult living in a different country. I guess to show hope and resilience. The book got short-listed by The Children’s Book Council of Australia. But overall, I thought it was ok. I enjoyed reading How To Live Forever more than the Treasure Box. Why? Because it had a library, books, imagination, colourful and funky illustrations and a wise old age message at the end. I like the way all the books in the library turned into a world of its own with cities and mountains and people. It reminds me of Lord of the Rings. I guess this book enters the realm of fantasy, which is the sort of genre I like anyway. So yes I am biased. So overall, a great book! I guess in some sort of funny way, we imbue our beliefs and likes on our children (be they books, food, moral attitudes etc) don’t we? But our children are individuals so it is up to them to decide what it is they like. And the only way to find out whether these two books are thumbs up or down is to read these to them, right? PS: I read these two books to my 6 year old son last night. Most of the questions that he asked me were about age, dying and growing old for both books. He asked why the trees look like newspapers and who looked after Peter when his father died. And he asked – did the books really come alive at night time? Such amazing questions from an inquisitive mind. Oh and he liked both of the books!